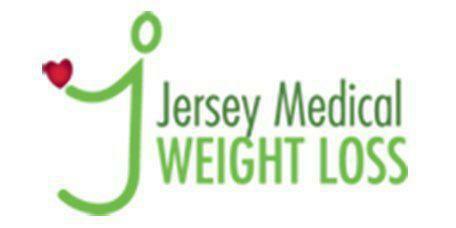 At Jersey Medical Weight Loss, Dr. Aparna Chandrasekaran offers nutritional counseling and medically supervised weight loss options to patients who are trying to lose weight and regain their health. Nutritional counseling ensures each patient gets exactly what they need in their diet to achieve their weight loss goals. Dr. Chandrasekaran encourages New Jersey residents who live near the Somerset area to visit her and find out just how important nutritional support is to their overall health and well-being. What is a nutritional evaluation? Dr. Chandrasekaran uses a comprehensive, nutritional evaluation to help determine what a patient needs to lose weight while maintaining the highest level of health possible. Evaluating a patient's diet as well as their nutritional needs helps determine what changes will maximize their weight loss potential. Comprehensive nutritional counseling considers several factors. First, Dr. Chandrasekaran thoroughly evaluates the patient's physical makeup, metabolic rate, and level of physical activity so she can determine what the body needs to maintain optimum health. The next factor that she considers is any health conditions the patient may have that will affect their ability to lose weight. This includes heart disease, diabetes, arthritis, and any other disease that affects the overall function of the body. She’ll also consider any medications the patient may be taking at the time. As the patient starts losing weight, she’ll also perform additional evaluations to determine how their needs have changed. Can your diet sabotage your weight loss plan? Many people fail to lose weight because they’re following a diet that’s not right for them. Fad or commercial diets lead many to believe that they work for everyone. While the diet may work for a short period of time, if the body isn’t getting the nutritional support it needs, weight loss will stop and other health concerns may develop. Dr. Chandrasekaran’s nutritional counseling and dietary evaluations provides each patient exactly what their body needs. Her methods take account of each patient’s personal, physical requirements, hence why they’re effective. By eating the right foods, in the right amounts, at the right time, the patient can take control of their weight loss without sabotaging their efforts.